Mains Water UndersinkEasy to install under your kitchen sink. Convenient, great tasting water on tap 24/7. Rainwater UndersinkThese undersink systems are specifically designed for rainwater. 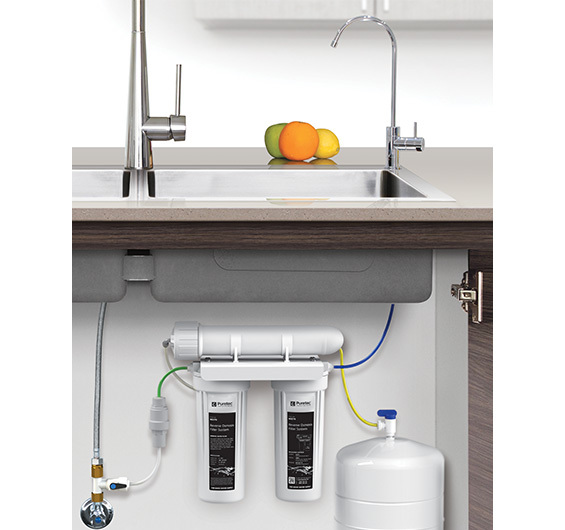 Mains Water WholehouseYou can have chlorine-free water right throughout your home with these systems. Rainwater WholehouseDesigned for rainwater - you can have assurance the water throughout your home is safe. Portable Water FiltersPortable systems suits for rental homes, boat and caravans. Commercial Water FiltersThe Puretec Food Service and Coffee range ensures the protection of appliances and the best tasting beverages. Know your waterUnsure which Puretec system is the right for you? Check out our step-by-step guide. Video GallerySee our Puretec Video Gallery. Watch our latest videos and learn more about our products. NewsSee our new products, learn more about water and filtration and stay up to date with the latest Puretec news. When only the purest water will do, conveniently on tap. The latest in Reverse Osmosis, a filtration process for high purity water. The ultra fine membrane operates by rejecting impurities and flushing them out to drain. This system effectively eliminates 98% of all dissolved impurities, heavy metals, salts, viruses, bacteria, cysts, fluoride, chlorine, taste, odour, and chemicals. Only pure, sparkling clear water from your own water supply is left for your health, safety and peace of mind. *Price listed is suggested retail price. Reseller price may vary. • 0.0005 micron rating for 98% removal of impurities. • No bacteria buildup through integrated flushing. • Pure, safe water at your fingertips. • Simple installation kit including holding tank. • ¼” turn ceramic disc faucet with LED reminder light. Important Note Use only genuine Puretec replacement cartridge. ^3 year warranty iss 1 year parts & labour, plus 2 years parts only. Enter your suburb or your address location. 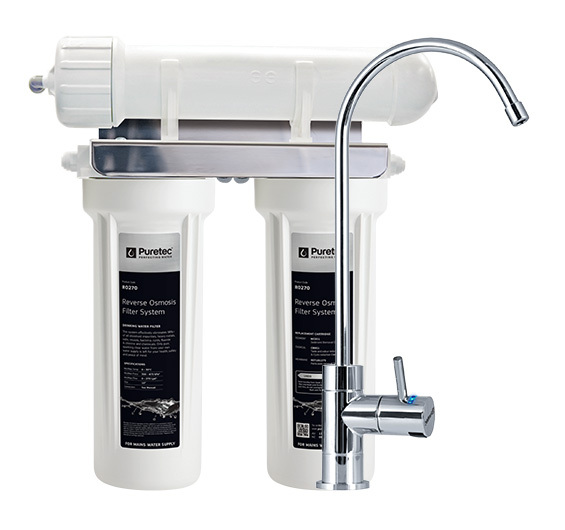 Puretec is a premium manufacturer of water filtration products. Puretec is dedicated to manufacturing a wide range of leading edge water filtration products and to providing unrivaled backup. 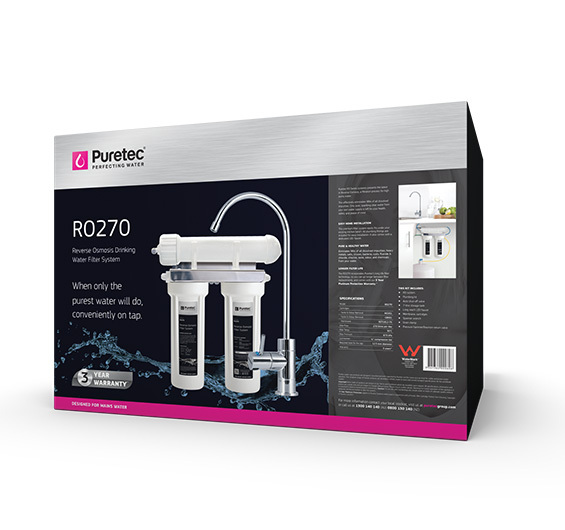 All Puretec products come with class leading warranties, are impeccable quality and are true to our tag line "Perfecting Water". Read more. © 2019 Copyright Puretec Ltd. All rights reserved. Terms and conditions.